How many snacks should I eat and when? The topic of snacking is controversial. Some health experts believe that fasting, not snacking, for a longer time gives your digestive system a rest and is beneficial for your body. Other health experts view eating nutritious snacks over the day as healthy, because it keeps your blood sugar and energy levels up, and prevents you from consuming large, unhealthy meals. Knowing easy healthy snacks can encourage healthy snacking, discourage unhealthy food temptations, improve liver health and save time. Read our article to learn about the health benefits of snacking right and simple ideas for healthy snacks. Snacking can have many health benefits if you eat proportioned snacks high in nutrients and low in sugar, sodium and saturated fats. Eating small healthy snacks can help control your appetite between meals and prevent you from snacking on junk food or high empty calorie foods like potato chips or candy bars. Easy healthy snacks include: apples and cinnamon, carrots and hummus, low-fat yogurt, unsalted nuts and edamame beans. However, it’s important to remember to not overeat ─ even if you’re eating healthy snacks. Contrary to popular belief, it’s often healthier to eat more, not less. Livestrong suggests that eating a small meal or snack every three hours can feel more satisfying than eating three larger meals each day without snacks. In addition, a study published in the British Medical Journal discovered that people who ate more frequently weighed less and had lower cholesterol levels than those who ate less frequently. 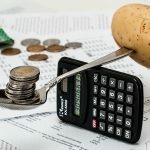 According to an article written by Toby Amidor, MS, RD, CDN, a registered dietitian and consultant who specializes in food safety and culinary nutrition, many nutrition experts recommend eating three meals between 350 to 600 calories each, plus one to three snacks between 150 to 200 calories each daily. 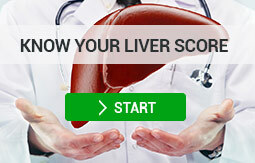 How many calories you should consume depends on factors like your age, gender, height, weight and fitness level. A fun snack and party favor, this easy recipe only takes 10 minutes to prepare and includes: gluten-free cereal, dark chocolate chips, creamy peanut butter and coconut oil. Peanut butter provides protein, moderate amounts of dark chocolate can help with weight loss and coconut oil contains healthy fatty acids. Perfect for a light snack, this sweet recipe only takes 10 minutes to prepare, serves 10 people and only has two ingredients: fresh fruits and Amsety bars, all-natural nutrition bars sweetened with honey. These fruity kebabs include: kiwis, which help fight depression, strawberries, which provide Vitamin C and help with detoxing your liver, and cantaloupe, which may lower risk of asthma. Strawberries and blueberries change up this traditional and tasty smoothie recipe that takes only five minutes to prepare. The chocolatey taste comes from dark chocolate flavored Amsety bars, which offer nutrients along with other ingredients. Bananas are high in fiber and help with digestion, blueberries contain antioxidants, and almond milk is high in Vitamin A. Whether you want to cool down on a hot day or you just want to re-experience summer no matter the season, this delicious frozen yogurt recipe is a must try. Strawberries provide a good source of Vitamin C, low-fat Greek yogurt contains magnesium and supports bone growth, and agave syrup is a healthy and delicious alternative to refined sugars and artificial sweeteners. These convenient grab-and-go nutrition bars created for liver patients come in two flavors: Peanut Butter Superstar and Dark Chocolate Champion. 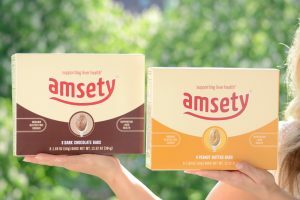 Made from high-quality, 100% organic, vegetarian and kosher ingredients, Amsety bars contain Super 16™, a nutrient-packed mix made from 16 plant-based vitamins and minerals beneficial for liver health. The product contains no gluten, refined sugars, lactose or GMOs, and has very little sodium. Find out about the Super Sixteen vitamins and minerals that make up an Amsety Bar!